I have no idea why I've never used a glass nail file before. I've always been curious about them but kind of skeptical too, I thought they might be too smooth and require ages to file my nails. But then I was offered the possibility to try Mont Bleu and they took away all of my doubts in seconds. 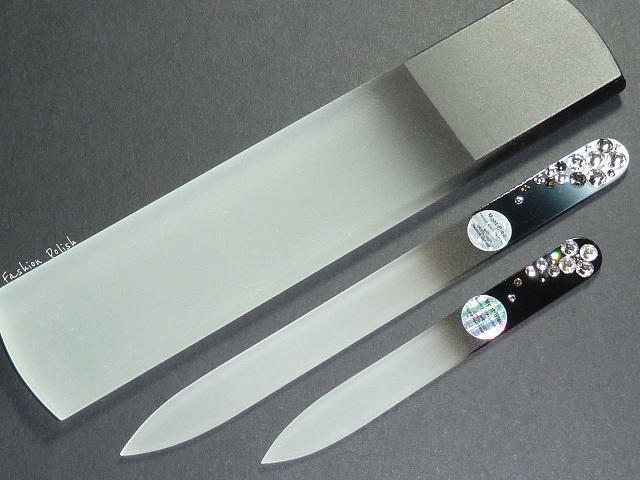 Mont Bleu is a Czech manufacturer that carries many high quality beauty implements. Today I'll be reviewing their nail and foot scraper files. 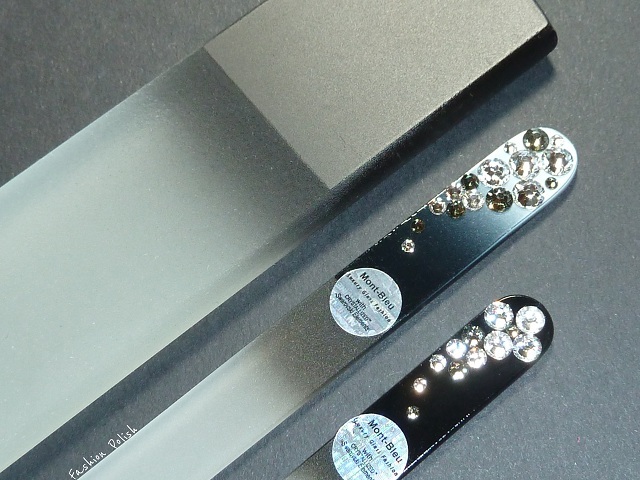 The nail files I chose to review are both decorated with Swarovski clear and grey crystals. The first thing that struck me when I unpacked them is how sturdy and luxurious they look. But they also have a truly oustanding filing power. I was able to easily shorten my nails without any damage. As for the foot scraper, it was most definitely built to last. I had been looking for a good scraper for ages and this one left my feet baby smooth in no time. It's not too rough like many others I've tried in the past, just the perfect balance, smooth and effective at the same time. Honestly you'd have to try it and see for yourself. These files are definitely must haves in my opinion. They all have an elegant epurated look and work like magic. They've instantly become my absolute favorites! 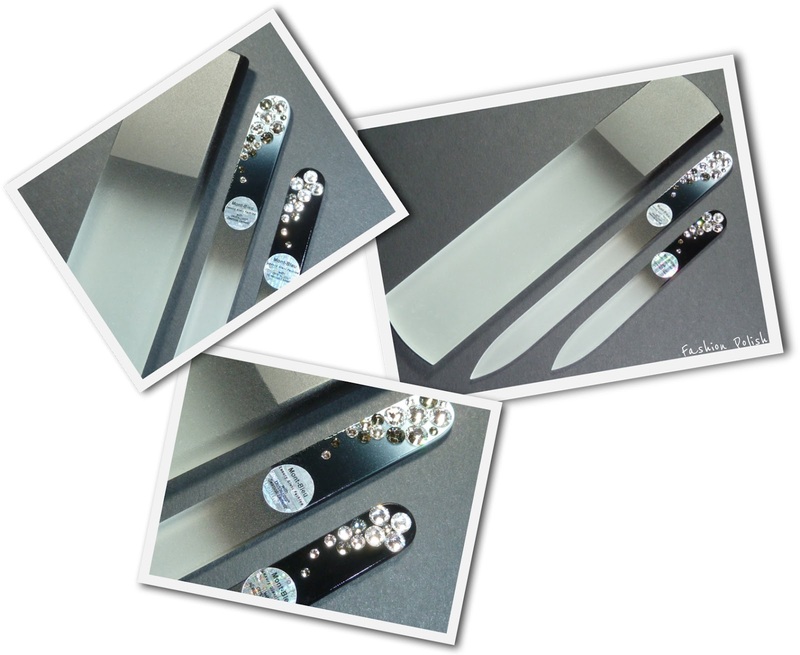 The nail files belong to from the Crystal line and come in a small black suede pouch. The regular one, Bubbles Color Jet BC-M6 measures 135mm/5.32 inches and retails for 10€. 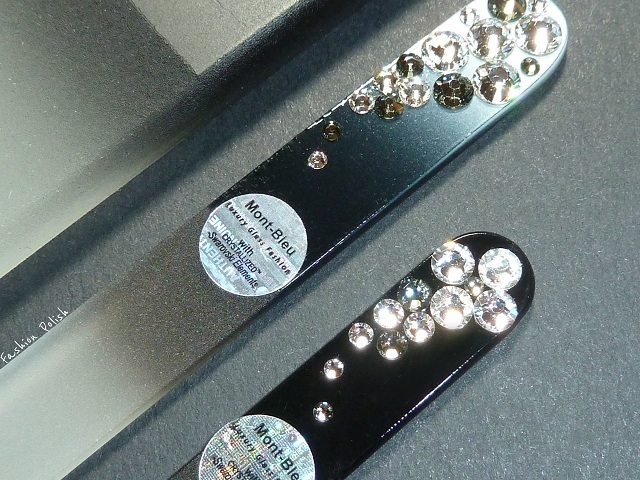 The mini, travel size Bubbles Black Crystal BB-S6 measures 90mm/3.55 inches, retail price 8€. The foot scraper comes in a clear plastic sleeve and is called Callus Remover BSF-B. It retails for 16€. All 3 of them had the same grain on both sides. Mont Bleu carries files in many designs and colors. They ship worlwide and offer secure payment through Paypal. For more information, you can either visit their website and online store or follow them through social media : Facebook / Twitter. Don't forget to use the code BLOG for a 20% discount off your entire order! These glass files are beautiful! I've been thinking of switching to a glass file and I think I just might now! Been on the lookout for a good glass file actually. And tweezers! But the code does not work...sent them an email and hopefully it will be sorted :) Cheers. I'm glad you're finally on to the glassfiles. They are so much better than the paper ones, not to mention the metallic files. But the footfile that one triggers me the most. I loooooove my Mont Bleu glass files! Also, I might need to try that foot scraper!